Be the first to share your favorite memory, photo or story of Charlotte . This memorial page is dedicated for family, friends and future generations to celebrate the life of their loved one. 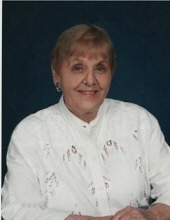 Bakersfield – Charlotte L. Pudvah a longtime resident of St. Albans and Bakersfield, passed away on Saturday, March 30, 2019, at the St. Albans Healthcare & Rehab Center. Born in Plattsburgh, New York on December 13, 1927, she was the daughter of the late Rudolph P. and Gertrude (O’Connor) LeClair. Charlotte was 91 years old. Charlotte was married to Francis L. Pudvah, who pre-deceased her on December 7, 1973. Charlotte was a 1946 graduate of St. Mary’s High School and following her marriage to Francis they opened and operated Pud’s Lunch on North Main Street. They then sold the lunch bar and owned and operated the Mobil station on South Main Street, which she ran following the death of Francis. She worked several years for the Franklin County Supervisory Union which she retired from. While living in St. Albans, she was a communicant of St. Mary’s Parish. She and Francis owned a chalet in Bakersfield and would spend days enjoying the wildlife, especially the birds and snowmobiling during the winter months. Charlotte would eventually make that her permanent home. While living in Bakersfield, she served on the Bakersfield School Board and was a member of the St. Anthony/St. George’s Parish, where she taught religion class. Charlotte is survived by her brother, John LeClair and his wife, Donna, of Williamsburg, Virginia; her sisters, Jane Finn of Lewiston, New York and Kathryn Jarvi of Syracuse, New York; her sisters-in-law, Beverly LeClair, Pat Williamson and Nancy Bourgeois, as well as numerous nieces, nephews and dear friend, Ann Fisher. In addition to her parents and husband, Francis, Charlotte was pre-deceased by brothers, Richard LeClair and his wife, Marilyn, Robert “Butch” Leclair; sister, Marjorie LeClair; brothers-in-law, James Finn, William Jarvi, Leslie “John Henry” Williamson; niece, Sheila Finn and nephews, Mark Jarvi and Danny Williamson. Relatives and friends are invited to attend a Mass of Christian Burial on Friday, April 26, 2019, at 11:00 AM at Saint Mary’s Catholic Church, 45 Fairfield Street, St. Albans, with the Reverend Maurice J. Roy as celebrant. Interment will be in the Holy Cross Cemetery. With Charlotte’s love for birds, memorials may be made to the National Audubon Society, 225 Varick Street, New York, New York 10014 or to Saint Mary’s Parish, 246 Lake Street, St. Albans, Vermont 05478. To send Charlotte’s family a message of condolence or share a memory, kindly go to her online guestbook at www.healdfuneralhome.com. To plant a tree in memory of Charlotte L. Pudvah, please visit our Tribute Store. "Email Address" would like to share the life celebration of Charlotte L. Pudvah. Click on the "link" to go to share a favorite memory or leave a condolence message for the family.